5-15 man fleets are dying in EVE Online null-sec except as a tool for ganks. The overall skill point inflation of EVE Online players as the EVE population ages. The prevalence of easily accessible data on fleet doctrines and the spread of those doctrines. The risk aversity of EVE Online players, particularly two- to four-year-old players. The ease of getting newer EVE Online players into T1 logistics ships. Once upon a time, there were ~elite PvP~ alliances in this game. And these alliances excelled at using three things to defeat larger fleets (“punching up”): higher skill points, better fits and doctrines, and the ability to bring link ships. They used these advantages to take on somewhat larger fleets, or to use skirmish tactics to nibble at the edges of much larger fleets. Now everyone has those things. Is that a bad thing? No! Not at all! But it’s having an impact, and that impact is to drive the size of fleets on the low end upward. “Small gang” in this game is becoming 30-40 ships, not 5-15. This impact doesn’t seem to be affecting the “solo” pilot too much, except the solo pilot tends to have two or even three (or four) link ships. And this impact doesn’t seem to be affecting what I would call “micro-gangs”: five or fewer. 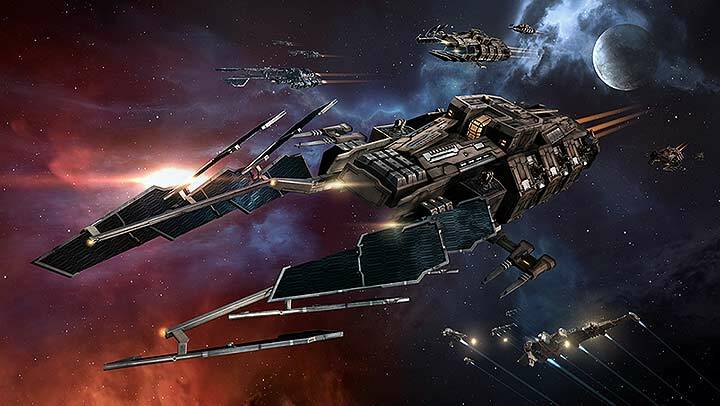 These fleets can much more easily choose their battles — though they sometimes run afoul of those last few 5-15 man fleets and get one or two of their number ganked. But what I would have previously called a small gang of 15 is finding it nearly impossible to find equal size fights. The opponent of a 15 man gang isn’t another 15 man gang. More often than not, it’s a 30 or 40 man gang. Use moderately priced ships. You gank one or two ships at a time, and then either cloak up (in the case of black ops) or scatter (in the case of inty swarms / sniper BCs). Use powerful but slow-moving ships. Everyone runs from you until they have a proper defense fleet up, and then dunk you. At best, you’re getting a easy (almost boring) gank and then blue-balling a response fleet. Now, if you were playing a few years ago, there were tons of examples of a small, well-comped fleet being able to take a few kills off a fleet, and maybe even do sustained fighting with a larger fleet for a bit, and then disengage. There were a couple ways to do it, most of them focusing on speed (Vagabonds, 100MN Tengus, arty Tornados/Muninns, etc) or highly flexible damage projection (Zealots, Rail Proteuses, Navy Apocs with a single triage carrier, etc). These days, trying to do this kind of stuff will largely get you killed, with little or nothing to show for it. Warp speed changes. If you’re flying anything cruiser or bigger that can’t cloak, hostile inties and dictors will absolutely get ahead of you, no matter where you warp. Changes in fitting meta. Railguns and sentry drones provide huge flexibility in range and tracking. The strength and relative cheapness of sensor-dampening ships remove many of the advantages of kiting/skirmish fleet comps. There are relatively few “hard counters” left in the game. More accessible logistics. Logistics is no longer the realm of bitter-vets who train for months to be good at repping; there are now T1 logistics ships, and most fleets with 20+ people will have 3 or more logistics ships. A general raise in median SP, especially with respect to capitals. Having a carrier alt isn’t the sign of an old player anymore; it’s rapidly becoming the norm. Capital escalations are common. ~Elite PvP~ is dying. It’s not dead yet. But it’s falling over, and the wolves are circling. Before you yell at me, remember: I’m talking null-sec. I know this size gang is still prevalent in low-sec, particularly in faction warfare. I know this size gang is sometimes worthwhile in w-space. I know it has its place in high-sec war-decs. But I’m talking the old-style roaming gang of 2009-2010 that used to be as common as dirt: ten DPS ships, two or three tacklers, two special teams ships (usually a Lach/Arazu and a T2 logi), probably a dictor. That meta is what’s dying. Now here’s the tricky part: there’s not going to be a lot of metrics that can be used to prove this thesis statement. When two 15 man fleets meet in null-sec these days, more often than not a fight doesn’t happen. And since the fight doesn’t happen, it doesn’t generate kill-mails. Therefore: no metrics. One side looks at the other and sees four Exequrors, or two Scimitars and a Falcon, or a pile of T3s and simply decides not to engage. The typical 15 man fleet out there right now is four inties, six DPS ships… and four special teams ships which more often than not are four logi. Or perhaps three logi and a dictor or three logi and a Rapier or Loki. Or if they’re hunting your 15 man inty gang, maybe a Keres. To break even two logi, you have to bring 50% more numbers. To break three, you have to bring almost double, or a couple of jamming ships. Think that 15 man gang is gonna engage if they see 25 or 30? Or if they see you brought two Falcons, Griffins, or Kitsunes with you? Hell no. They’re gonna disengage, safe up, and let that gang go by. Therefore no fight, therefore no kill-mails, therefore no metrics. This thing is happening silently. Which is why instead you’re seeing these 15 man fleets dunk on a few ratters or a couple of mining ships or perhaps a solo boat or two. They’re doing their hunting in renter space, usually going for things that can’t fight back. Again, ganks are cool! I like kill-mails as much as the next fella, maybe more. But I also like fights and in this fleet size they’re becoming a hell of a lot tougher to come by. Meanwhile, the prevalence of cheap logistics, good numbers, alts, and high SP — plus the ever-growing desire to dunk these 15 man gangs — is pushing the “small gang” up to 30 or 40 ships. I’m not saying this is a good thing or a bad thing. But I am saying it is a thing. Inflation isn’t just hitting the cost of things in the game. It’s hitting the size of fleets in the game too. What are a few of the most popular/best blogs about cellular phone and wireless technology? I¡¦m not positive where you are getting your information, but good topic. I must spend some time learning more or figuring out more. Thank you for wonderful information I used to be on the lookout for this info for my mission. TmbFfL This is a very good tip especially to those fresh to the blogosphere. Simple but very precise info Thanks for sharing this one. A must read article! How can I import my blog site to an additional gmail account?